Vie Support offers comprehensive language services to companies and individuals worldwide, for all your multilingual needs, from Translation, Interpretation, Content Development, Voice-over, Subtitling and Desktop Publishing (DTP) services, in various parts of France such as Paris, Lyon, Marseilles, Nice, Toulouse, Strasbourg and so on. We offer a wide-range of linguistic services with the objective of helping businesses and organisations extend their reach to global markets and maximize their market share and profit through the use of Professional Translation Services in France. We are committed to helping businesses and organisations build solid and lasting relationships with their internationally based customers and business partners and all those they serve throughout their respective industries by providing a well-developed system of from translation, interpretation, content development and DTP services that will help them to effectively communicate across all national and international borders. We currently provide services industries and sectors in different domains of the global economy. We specialize in managing complex multilingual projects, with the ability to undertake and manage large-scale projects efficiently and successfully. Whatever your language needs we are ready to help you meet clients goals. 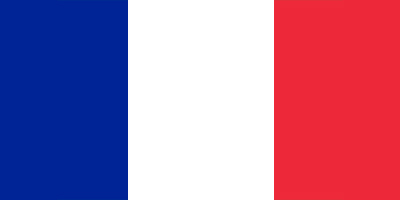 France is one of Europe’s largest countries. The country is considered to be the gateway to Europe as there are several large international airports, ferry terminals and the French rail service. France is transitioning from an economy that has featured extensive government ownership and intervention to one that relies more on market mechanisms but is in the midst of a euro-zone crisis. The government has partially or fully privatized many large companies, banks, and insurers and has ceded stakes in such leading firms. It maintains a strong presence in some sectors, particularly power, public transport and defence industries. France’s population is growing quite significantly, and in 2018, the population of France is estimated at 65.23 million, which ranks 20th in the world. The official language of the country is French. But in the parts of the city that see the most tourists, people will understand and talk to you in English. Regional languages are also spoken like dialects of German and Celtic languages. DTP/Desktop Publishing Services is one of the most outsourced services. Outsourcing these services helps companies focus on their core business areas. At the same time, they get specialized DTP services at a minimized cost. As leading Professional DTP company in France and in its major cities across, such as Paris, Lyon, Marseilles, Nice, Toulouse, Strasbourg and so on. Vie Support uses sophisticated software to provide desktop publishing services to its customers. Whether it is developing the layout for a magazine or developing brochures for companies, Vie Support can provide services tailored to suit varied customer needs. We believe that any successful partnership begins with understanding the requirements of our customers. Once we understand your long-range business goals, we work closely with you to analyse projects and design the actual development process. Vie Support is also translation engaged in offering quality and Professional Content Writing services in France on varied topics ranging from commercial and medical to creative and fact based topics. We provide content which is grammatically correct, factually accurate and informative. We come up with content that is unique, engaging and meet the requirements of our clients. As a prominent translation, content development, Desktop publishing, Voice-over and Subtitling services company in France and across France such as Paris, Lyon, Marseilles, Nice, Toulouse, Strasbourg and so on has, our company high quality content writing and ensures best services. We are highly appreciated among our clients locate all over the globe for offering the most effective content writing services. We deliver original and innovative content and it’s very dedicated and provides content writing services. We are foremost, prominent and most reliable Translation, Content Development, Desktop Publishing, Voice-over and Subtitling services agencies in France. We offer Professional translation services in over 1000+ language pairs. Our translators have many years of professional experience and translate only into their own mother tongue. Most of them have degrees in a specialized field of knowledge and in the translation profession. Our translators do not only translate from one language to another, but also localize the information from a source language to its exact equivalent in another one at the same time adapting it to take into account local cultural sensitivities. We offer the highest level of professional interpretation services, both consecutive and simultaneous, combining highly-qualified interpreters with our own extensive industry experience. We offer many different language combinations and areas of expertise. We give you access to resources and skills that you may not have in-house. Our DTP specialists are experts in the use of standard publishing applications from Illustrator, Corel Draw, Indesign, PhotoShop, Frame Maker, Page Maker and so on. Our team of qualified and experienced content writers possess the skill and acumen to create content as per the requirements of the client. Irrespective of the subject on which the content is required, we ensure zero plagiarism, which is vital for any website. 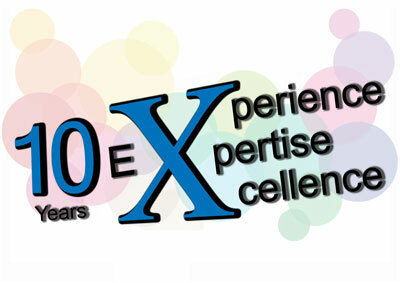 Our methodology aims to provide the best quality output. We follow strict quality control measures to ensure client satisfaction. We receive the required information, assesses the required resources along with a cost analysis and deadlines. The work is examined in order to identify the tools necessary, such as glossaries, translation memory, software, etc. before the project is assigned to our experts. Continual reviews are conducted to check that the project complies with the client’s requirements and delivers the project. Our clients require the utmost confidentiality and expect us to keep their documents, personal correspondence, and business materials secure. Confidentiality is a top priority for all of us, so we adhere strictly confidentiality, and we provide an additional level of protection with on-site security.